There's nothing cooler than owning the complete text of a novel in a readable lithograph, with a striking image. We've shared posters with the complete text of War of the Worlds and The Last Unicorn. 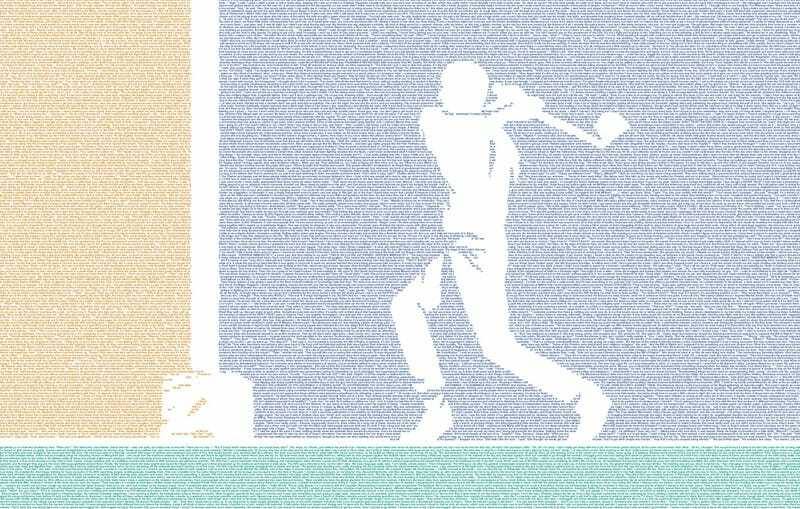 And now you can own all of Cory Doctorow's Little Brother as a dynamic, defiant print. The Little Brother lithograph comes from Litographs.com, and is designed by Benjy Brooke. The full-size 30 x 45 version, containing the entire novel text, is $39, but you can get smaller versions with truncated text.